The Academy was founded in 1972 by Dr. Thomas P. Rosandich in direct response to the ever increasing needs and demands in sport and society in America. From the beginning, the Academy’s mission has been to serve the nation and the world as a sport education resource through programs of instruction, research and service.  It continues to be the only accredited free-standing sports university in the United States. The vision of the Academy’s leadership during its conception was to make a “university without walls”. The Academy would meet the needs of its students by teaching sport in any location on the globe and has met this challenge through flexibility, mentorship, and its distance learning delivery system that enables all Academy degree-seeking students to take their entire course of study at a distance. This process was continued with the introduction of web-based course delivery in 2001. Over the past 40 years, the Academy has become a national resource for sport education; it is known worldwide as “America’s Sports University ®.” With almost 1,300 students studying sport annually in the Academy’s degree and continuing education programs, and judging by the success of its alumni, they are unquestionably among the finest. 1972 The Academy was founded by Dr. Thomas P. Rosandich. 1976 The Academy moved from Milwaukee, Wisc., to the campus of the University of South Alabama in Mobile, Ala.
1983 The Academy moved into its permanent home on the eastern shore of Mobile Bay in Daphne, Ala.
1983 The Academy received its initial accreditation by the Southern Association of Colleges and Schools Commission on Colleges (SACSCOC). 1984 The American Sport Art Museum and Archives was founded with a modest collection of sport art. 1985 The Academy’s Awards of Sport program began. 1988 The state of Alabama recognized the American Sport Art Museum and Archives (ASAMA) as a state treasure and Governor Fob James dedicated ASAMA in a special ceremony. 2001 The Academy introduced its web-based distance learning course delivery system. 2015 Board of Trustees voted Dr. T.J. Rosandich as the President and CEO of the Academy.